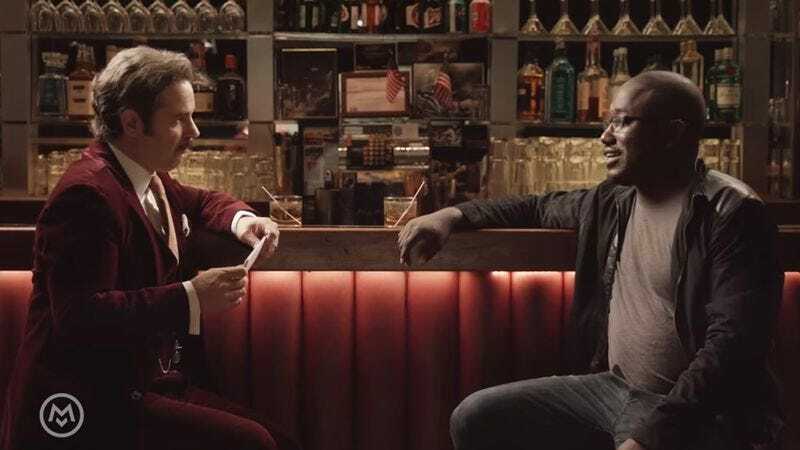 Paul F. Tompkins’ Speakeasy is always a delight, but that’s especially true for the web series’ latest episode, which features special guest Hannibal Buress. While the entire back and forth between the two is well worth watching, the true highlight is the banter surrounding the “Would You Rather?” questions Tompkins asks Buress. For instance: Would Buress rather have all music around him forever sound like ska or spend the rest of his life wearing just one Rollerblade? Or would Buress rather be the funniest man of all time or cure cancer? Tough choices, all around.